The International Olympic Committee ruled on Sunday that there will be no blanket ban on Russia’s team from the Rio Olympics, but prior to the decision some Western media outlets teamed up in a call to strip the Russian team of its right to compete. The IOC said on Sunday that the respective International Sports Federations would decide on whether Russian athletes can go to the Olympics. “I think this way we have balance on the line and the desire and need to collective responsibility versus the right to individual justice of every individual athlete,” IOC chief Thomas Bach stated following the decision. However, the Western media’s coverage of the case had already turned into a chorus calling for a blanket ban on Team Russia, with many renowned outlets picking sides before the IOC decision was even announced. Another British outlet, the Times, bluntly admitted that it wanted to put “pressure” on the International Olympic Committee when it published an article entitled “Please ban Russia from the Rio Games” with an attached letter addressed to the IOC. “The letter will intensify the pressure on the IOC after revelations of rampant, state-organised doping,” it read. Following McLaren’s allegations, the sports editor of the German Bild said the newspaper will cut Russia out of the medal counts it publishes. “Should Russia be allowed to participate in the Games, Bild will have it exempted from the medal count. 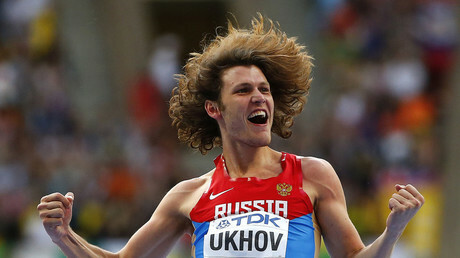 Declare Russian athletes’ results null and void,” his statement read. The outlet denied RT an interview to clarify the matter. A pre-judgment decision was also issued by the UK’s Daily Mail just a day before IOC statement. The paper rolled out with a headline saying Russian athletes “will be banned” from Olympics, citing its own sources. However, the IOC upheld its decision to only suspend Russia’s track and field team, while refraining from a complete ban.